Since when did Cath Kidston stop offering phone cases for the iPhone 6? So annoying! 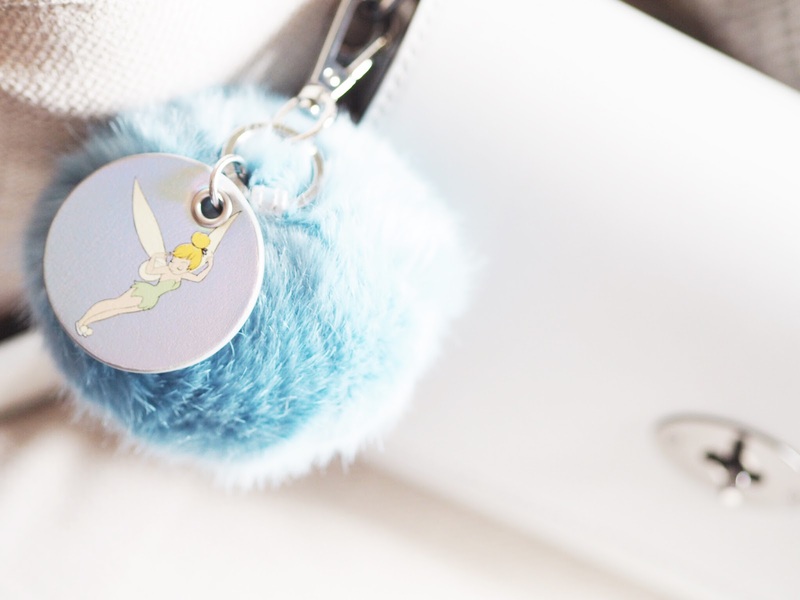 Anyway, besides that I did manage to pick up the other thing that I wanted, the Blue Pompom Keyring. Admittedly I am not really a Peter Pan enthusiast, but I just couldn't resist this little bundle of fluff, literally. Priced at £12 I thought it was pretty reasonable and the cool blue tone goes with nearly all of my handbags, apart from my mustard yellow one.. eesh! It would take one hella' fashion blogger to pull that one off. My only critic would be that I wish the picture of Tinkerbell was made of a more durable material than just plastic. What did everyone else buy? Don't forget you can read all about my much bigger Disney X Cath Kidston haul here.